I'm planning a several month journey departing in a week or two, from Milton Keynes up to Market Harborough, on to the Trent, down to Fradley, and up to Stoke on Trent. Anything i should be aware of? No stop areas? good places to stop? What will the Soar and Trent be like over the next few months?Never done rivers before so any advice is appreciated! The rivers ( apart from a quick blip last week) have been remarkably benign this year and it would take a lot of rain to make them unnavigable (and very little is forecast for next 2 weeks). It's a great trip, with mild weather looking set for ages. Aim to do south of Leicester ( Kilby bridge) to city centre in one go....secure moorings there, and then get to Birstall at a minimum on the next leg. Other than that there are no " no go" areas until you get to Stoke. The September one was over 2 weeks - fortunately close enough to walk to get supplies etc. Have you got a VHF, Anchor and Life Jackets ? That's a 10 day trip what are going to do for the other couple of months...? No, Yes, No, but going to get one. How necessary is a VHF? That's just the start - i'll continue on through Harecastle Tunnel and beyond, but that is likely a month at least away - i'll decide where i'm going nearer the time. How far down the Trent do you plan on going ? If going downstream of Nottingham then it is beneficial. It is just 'very convenient' as you can call the lockies up and tell them "15 minutes out can I lock up/down when convenient". It can take 20 minutes to cycle the lock so the lockie can tell you to hurry up as he is cycling for another boat, slow down because he has another boat going the opposite way, or 'no problem the gates will be open, come in on the green light'. If you are planning to go in the next few weeks (before the locks are manned for 'the season') then you'll need to learn how to operate the locks. Regarding the lifejacket you say "going to get one" - are you single handed ? You will find the Trent locks very difficult if you are single handed. The Locks are 'enormous' and you need to use your ropes on the sliders (built into the lock walls) to keep the boat secure during the lock operation. Rivers are not just 'big canals'. About 5 NBs wide x 'several' boats long. When i say 'one' i mean a couple, one for me, one for a guest if i have one. Yes, single handed. I don't plan on the Tidal Trent just yet, Just the Non tidal section, I want more experience before tidal work, only being on board for 9 months. Mooring on the Soar and Trent - i guess its pretty much only designated mooring spots that i can use? In which case you cannot go downstream of Gainsborough. APB Bye-Laws (which ARE enforced) are that there must be at least one crew in addition to the 'master' on all vessels in excess of 12 metres length. 11. (1) Subject to the provisions of paragraph (b) of this Byelaw, the master of a vessel underway, other than a small vessel, shall have on board at least one other person to assist in the navigation thereof. 2 years ago I exited at Keadby and travelled to Torksey. 2 weeks later, I reversed the route. I am single handed and on both occasions, I was the only boat moving onto the river. I asked each lockie if I should be waiting for a time when another boat was leaving, both said it wasn't necessary. I also asked both about VHF radio and both said I was okay with my phone. I'm not saying this is right, or that people should do it, just that the lockie's don't appear to be enforcing the bylaws. I've only done the Soar once, going upstream, but I seem to remember it had some places to moor. As the OP is turning left out of the Soar and only going a few miles up the Trent, (1) the discussion of everywhere downriver from there is of course not relevant to you and (2) you won't need somewhere to moor in the brief time you're on it. It's a big wide river even there but OK if not in flood, and there's only Sawley Lock and the flood lock just up river from that to do, which are not too huge or scary. Once you're off the river onto the T&M there are plenty of places to moor just like most other canals away from London. There is also a section some miles further up the T&M where the Trent flows into the canal and out again over a weir. Beware of weirs, the current will take you towards the next weir downriver if you let it, so you want your engine to be in working order and you want to know where the weirs are. When mooring anywhere except in a lock cut, the current will be trying to get between whichever end of your boat is pointing upstream and the bank and swing you round. So be sure to get that upstream end tied to the bank promptly, once that's done you can take your time. Keep a good lookout, it varies depending on which river, but there tend to be more rowers, canoes and other small craft about, and sometimes big boats. They wouldn't do. You had C&RT Lockies on C&RT waters. Different rules & different navigation authorities. 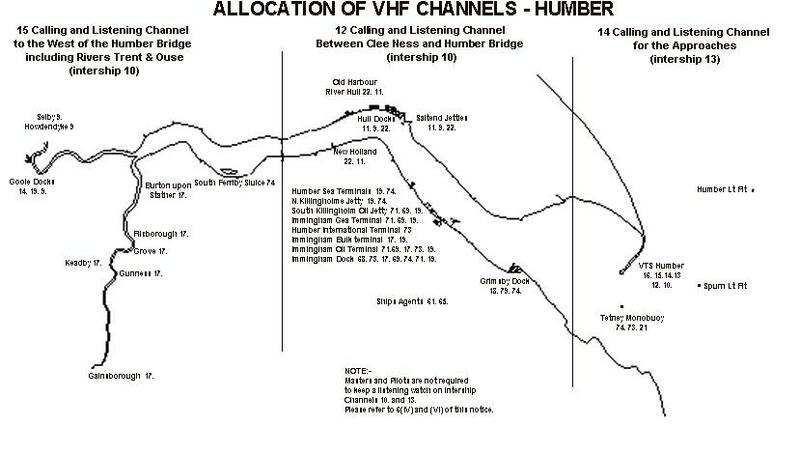 The VHF and minimum of 2 persons is APB Byelaws and applied below Gainsborough. VHF only used downstream of Nottingham and nice to have, not essential, so not relevant for this trip. You have the River Soar and a short section of Trent, so lifejacket and an anchor are a very good idea if something goes wrong, which can happen with frightening speed. Especially single handed. Only one big lock, at Sawley on the Trent and that often has a vlocky on it. Push button operated when unmanned, with an instruction panel, for which you'll need your Watermate key. Also need this key to unlock the paddles on some of the locks through Leicester, or did the last time I went, but that was six years ago. Good advice from @matty40s on mooring each side and within Leicester. I've done Birstall to Kilby Bridge in a very long day, but stopping off at one of the two secure moorings in the city centre is a lot easier. Moorings further down the Soar at regular intervals, Mountsorrel, Barrow, Loughborough, Zouch, Kegworth, from memory. On the Leicester branch of the GU you have the staircase locks at Watford and Foxton. Again, usually vlockies on these. Follow the destructions on the order of raising paddles. I think the confusion is because the OP said down to Fradley, rather than up, and maybe people read "down to Keadby" ?? Alot of the Soar is canalised so moor where you see fit for a fortnight, the river bits have regular lengths of flood proof moorings and visitor moorings outside pubs etc. The bit of river Trent (less than 2 miles) you'll go up above Trent Falls to Shardlow has pontoon visitor moorings outside the pub but the flow can be fierce after rain. See - that's the confusing 'bit' - yes you will be 'up above Trent falls' by about 90 miles. I have never seen any part of the system between Shardlow / Sawley / The Sawley Cut / The Soar Navigation / The Erewash Canal refereed to as "Trent Falls" but they have been mentioned a couple of times in this thread. I spotted that too, I think nikvah means Trent Lock, where the Erewash, Soar, Trent, and Cranfleet Cut meet. I also just learnt that it is where Leics, Notts and Derbyshire meet. I spotted that too, I think nikvah means Trent Lock, where the Erewash, Soar, Trent, and Cranfleet Cut meet. Sorry, I did indeed mean Trent lock - but I was led astray. 10 days......knew you were a part timer. .. I was thinking of a leisurely holiday cruise.